Sign up for a free download of Industry Insider Screenwriting Contest - Todd Garner Finalist Entries now! Download the finalist’s entries from the Industry Insider Screenwriting Contest - Todd Garner now! We don't sell, spam or share your information. Yesterday, winner Paul Boyer paid the Writers Store a visit, before he headed off to his lunch meeting with Todd Garner at The Ivy and a meeting at Benderspink. We can't wait to hear about how his big meetings went! The 15-page submissions from the finalists are now available for download! Do you have what it takes to be one of our next finalists? Read these pages to see what set these finalists apart from the rest. Congratulations to Paul David Boyer, winner of the Industry Insider Contest with his script, "Triangled." "(My Specialist) Anthony Grieco pushed me harder than any other screenwriting teacher or mentor I've ever had. And in the end, the results were well worth the effort. His eye for pacing, ear for dialogue, sense for character and mind for story left an indelible mark on the way I write." Think you can turn this logline from Todd Garner, Hollywood Producer of Jack & Jill, Zookeeper, and Paul Blart: Mall Cop into a killer script? A father and son find themselves trapped in the Bermuda Triangle after embarking on a quest to discover what happened to the father's missing parents. Break out your scriptwriting software and get to work, because the Industry Insider Screenwriting Contest gives you the unique opportunity to turn this idea into a solid spec screenplay that could be your ticket to Hollywood success. Working from this A-list logline, you’re challenged to create up to the first 15 pages of an original script based on the given concept. Make it your own - drama, action, sci-fi... anywhere your imagination takes you. But it doesn’t stop there. The Industry Insider Screenwriting Contest goes much further than your average competition, by providing the top 10 finalists with mentors to guide them through the entire script creation process, with the goal of completing a spec screenplay to be judged by a panel of Hollywood power players. After the mentoring, the finalists submit their rough drafts to our professional script readers for comprehensive Development Notes, and then have two weeks to work with their mentor and notes to complete the final draft of their screenplay for judging. The chic Chateau, conveniently nestled right off the Sunset Strip, will serve as the home base for the Industry Insider Screenwriting Contest winner. Thinking of the many opportunities to network and hobnob with the Hollywood elite that frequent this hotspot is mind-boggling! First on the agenda? Lunch with producer Todd Garner at Robertson Blvd.’s uber-popular bistro, known for its steady stream of celebs and location near power-agency ICM. The winner will take in some serious knowledge and know-how from Garner, while filling up on the Ivy’s famous nouvelle American cuisine. The Hollywood treatment continues through a conference with Benderspink, a diversified management/production company with credits including The Hangover, American Pie, and The Ring. Aspiring screenwriters dream of this kind of opportunity to meet with such an influential group, a fantasy that will come true for the lucky winner! Format your script and outline it, too, with the newly redesigned Movie Magic Screenwriter 6! This award-winning screenwriting software formats movies, television, novels, stage plays and even comic book scripts, making it the only program for all types of creative writing. The Industry Insider Screenwriting Contest can give you the tools and the resources you need to complete a saleable screenplay. But besides the experience and the mentoring you could receive, placing in this competition shows that you can take another’s idea and turn it into a winning script - a trait that’s truly valued in Hollywood, and serves as a priceless addition to your screenwriting resume. Looking for the regulations and answers to specific questions? Check out the Industry Insider Screenwriting Contest’s Rules and FAQs. Click here for news regarding previous rounds of the contest. Todd Garner, the head of Broken Road Productions, is a veteran producer and Hollywood creative executive with a unique gift for creating and nurturing mainstream, commercial motion pictures. In various capacities throughout his career, Garner has developed, overseen, executive produced or produced well over 150 movies, many of them major hits for their respective studios. 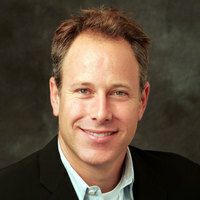 Formerly a founding partner of Revolution Studios and before that head of production at Disney, Garner founded Broken Road Productions in summer 2005. Known for his strong relationships with top actors, directors and writers, Garner has numerous projects in various stages of development, pre-production, production, and post-production. Broken Road is currently awaiting release of JACK & JILL with Adam Sandler and Al Pacino, and HERE COMES THE BOOM with Kevin James and Salma Hayek, both at Sony. Want to know what the judges are looking for in the First 15 Pages? Click the orange button above to download the winning entries from this round’s finalists. If you are an Industry Professional and have interest in reading any of the completed scripts, please contact Sadie Dean at The Writers Store. Due to the subject matter, please be advised that some of the material in the pages available for download may be inappropriate for children. “No other screenplay contest offers what the Industry Insider Contest does — a chance to develop your script alongside an industry professional. Some contests are about cash and prizes. The Industry Insider Contest is about advancing your career and developing material that can be successful in the marketplace. It’s about opening up doors.